As US Pressures Maliki to Resign, will Iraqi Gov't Collapse? 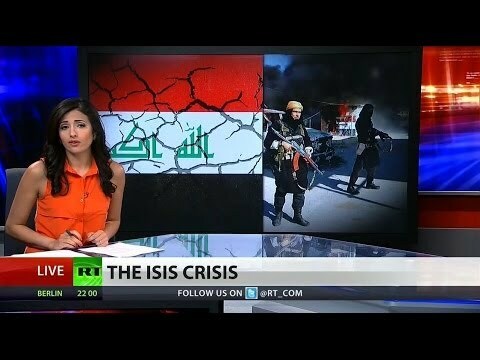 As US Pressures Maliki to Resign, will Iraqi Gov’t Collapse? A consensus is forming in Washington that Prime Minister Nouri al-Maliki must resign, as part of accountability for his failures with his Sunni Arab citizens. Because Washington is so good about demanding accountability. While this analysis is correct, and I have said myself that Iraq would be better off with a different leader, it is not clear that right now is the best time to force al-Maliki out. Washington also has to be careful about trying and failing to get rid of al-Maliki. President Obama and Hillary Clinton wanted to get rid of Hamid Karzai of Afghanistan in 2009; they failed, and therefore had bad relations with Karzai ever after. A potential departure of al-Maliki raises the question of who would take his place. Al-Maliki is the head of the Islamic Mission Party (al-Da’wa al-Islamiyah). This Shiite fundamentalist party won 92 of 328 seats in the parliamentary elections just held. The Da’wa Party was for years covert and still is secretive. We don’t know who is on its politburo. It will likely form the next government with or without al-Maliki. You could look to another Da’wa member on the cabinet. But al-Maliki has kept most important portfolios for himself. Ali al-Adeeb, Minister of Higher Education, is the other known Da’wa member on The cabinet. al-Maliki is said to have rebuked al-Adeeb for giving free rein in universities to extremist Sadrist militias and for discriminating against Sunnis. You begin to wonder if the problem is with the Da’wa Party. The new Da’wa PM will have to attract the support of radical or just committed Shi’ites. Such as the Sadrist movement, the Supreme Council, and the Virtue Party. The Sadrists hate al-Maliki and may find it difficult to cooperate with Da’wa. In 2010 the Kurds put al-Maliki over the top because he was not a hawk on Kirkuk. Now the Kurds have de facto annexed Kirkuk. They have no reason to back anyone. But the Shiite parties only have 155 but need 164 for a majority. There are likely to be months of wrangling before a new PM can be chosen. And maybe it will have to be a minority PM because the parliament is permanently hung. In the meantime, if al-Maliki is deposed, who will command the armed forces? So if you depose al-Maliki, you can’t be sure who will take his place. His successor may be even worse. As in Libya, the the government could also collapse.